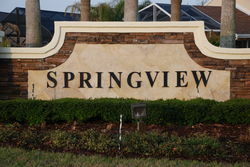 Springview is located at the south end of DeBary just north of the 17-92 and Dirksen Road intersection. The entrance is along 17-92, but the community is actually situated another ½ mile to the west. Originally developed in the early and mid 2000s, the community contains 3 and 4 bedroom homes built by Cosmopolitan Homes. 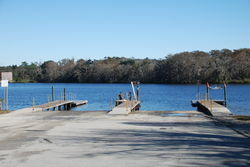 The St. Johns River is nearby for boating and fishing. Ramps are located to the south at Wayside Park and Lake Monroe Park and to the north off of Highbanks. Shopping and restaurants are nearby off the Saxon Boulevard corridor. Access to I-4 is excellent with three separate options – Saxon Boulevard, Dirksen Road or 17-92.